Question: Where can I find Xenix for the 8086, 80186, or 80286? Answer: In the history books. I'm sure this was intended as a witty retort, and not intended to be snide... However, it strikes me as a rather sad statement. Operating systems like Xenix, Microport, PC/IX, and even A/UX, are in danger of being lost forever. These are historical artifacts, and they must be protected. That having been said, please remember that A/UX is still a copyrighted product. The astute observer will note that this site is not hosted on an A/UX server. 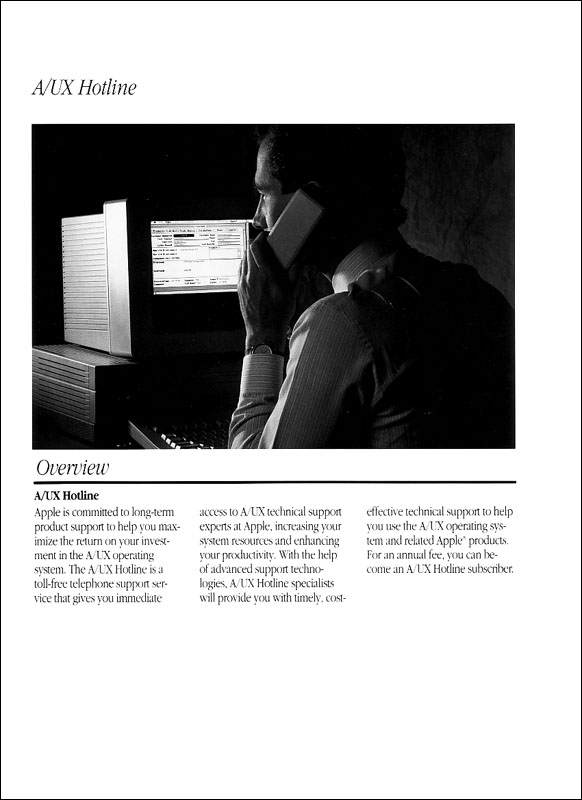 While A/UX is a robust and reliable Unix, it is a discontinued product. To my knowledge, no one is producing security updates or patches for A/UX, and the latest version was released in 1995. For this reason, I would caution against setting an A/UX server on the the internet without adequate protection. If you do set up an internet-facing server, please check out my jagubox mirror for all the "latest" security updates. http://slagheap.net/ - Purchased a beta release of A/UX 1.1.1 on eBay! Tecneeq.de - Even more A/UX links! 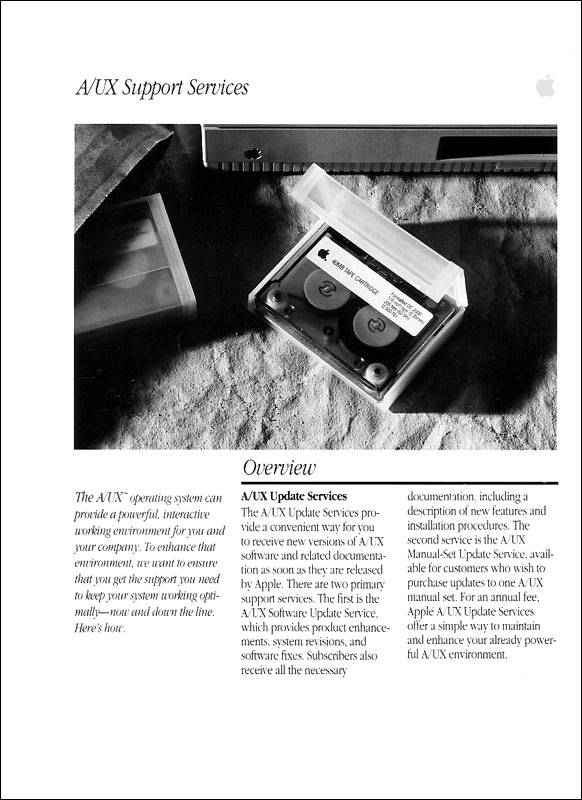 Although it was discontinued over a decade ago, A/UX is still protected by copyright. Portions of the source are owned by Apple, Unisys, and Sun Microsystems, to name but a few. Apple, Macintosh, Mac and the Mac logo are trademarks of Apple Computer, Inc., registered in the U.S. and other countries. All other logos are the property of their respective companies. The html documents and graphics are also protected under copyright law. I do not claim to be an expert of any kind. 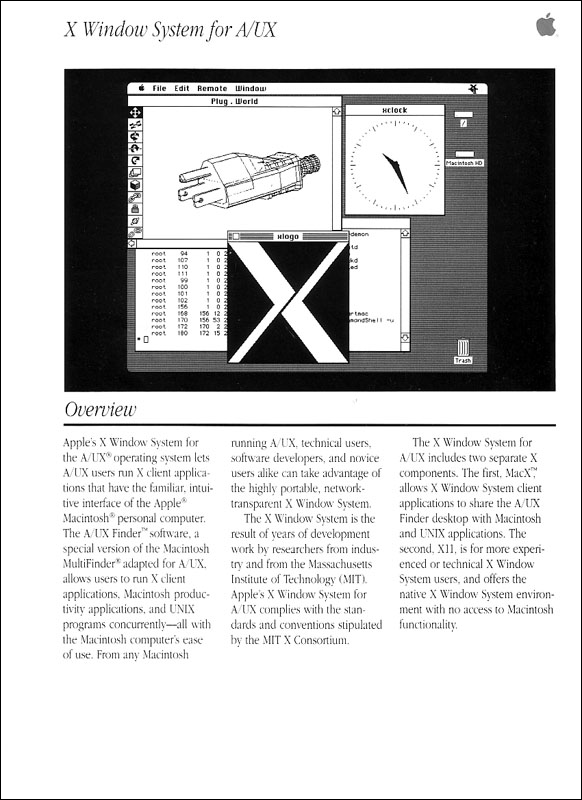 I'm simply a hobbyist seeking to share my knowledge and appreciation of the Macintosh, Unix, and A/UX. If you have any questions or comments regarding the site or the content, feel free to contact me.